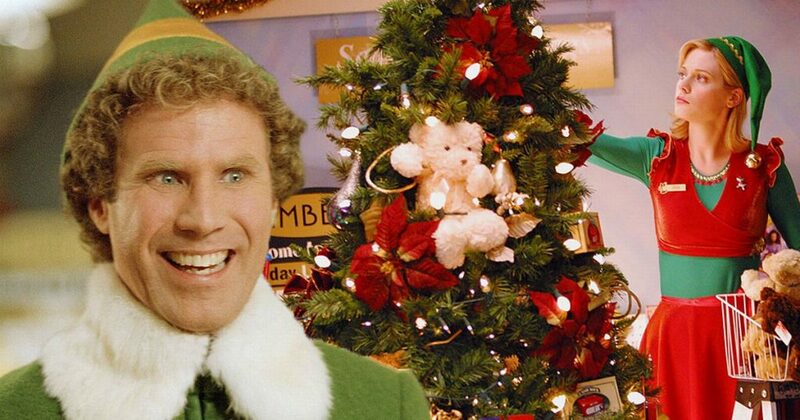 When I think of Christmas movies I think of Elf, it seems that many of the high street stores do too as I regularly spot clothing featuring the over-sized ball of fun played so memorably by Will Ferrell. The movie is a favourite of mine because it feels as if the big kid who lives in all of us is allowed to be excited about Christmas. I am crazy about the festive season anyway, and I have definitely not grown up yet in spite of a big birthday lurking on the horizon next year. The joy, buzz and elation of the Christmas period is captured so perfectly and as with so many Christmas movies, the message the story brings is heartfelt. If you haven’t seen the movie, it revolves around Buddy, as an infant he was in an orphanage and crawled into Santa’s sack. 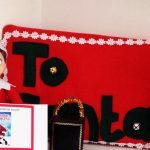 Growing up in the North Pole, he was raised as an Elf by Papa Elf, however due to his height and bulk, he’s been put in the toy testing department and this is a demotion in the Elf world. 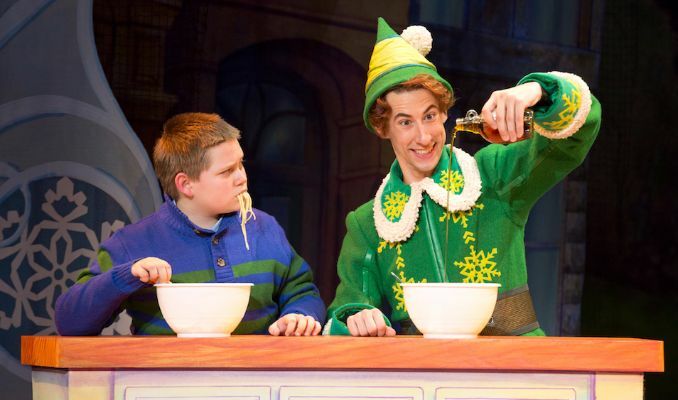 Papa Elf is forced to explain Buddy’s heritage to him when he over-hears a conversation and learns that he’s human. Walter (James Caan) is his father and he’s still alive, so Santa suggests that Buddy could find him and help to redeem him as he’s on the naughty list. A journey ensues which sees Buddy out of his depth, falling in love and eventually helping his father to come good. It really is a classic happy ending. The movie has been adapted for stage as a musical incarnation with music by Matthew Sklar who is no stranger to turning movies into musicals, having been responsible for doing the same with The Wedding Singer. The lyrics are by Chad Beguelin who was responsible for working on Disney’s Aladdin and also teamed up with Sklar for the transition of The Wedding Singer. The stage version has enjoyed a successful sold out run in London’s West End and toured last Christmas with Joe McGann (you may recognise him for nineties ITV sitcom ‘The Upper Hand’) and star of stage and screen, Jessica Martin as well as Ben Forster in the title role (who triumphed as the Phantom in the West End’s The Phantom of The Opera). The current UK tour cast includes David Essex and Martine McCutcheon. 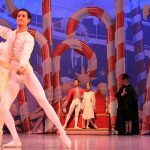 In my humble opinion, the movie remains the champion when comparing stage and screen versions, however, here are five of the highlights from the musical which make it a must-see, especially over the festive season. The musical numbers ~ there are some catchy songs which can’t help but ignite your Christmas spirit. Christmastown is glorious, Nobody Cares About Santa is quirky and Just Like Him is a beautifully structured number. 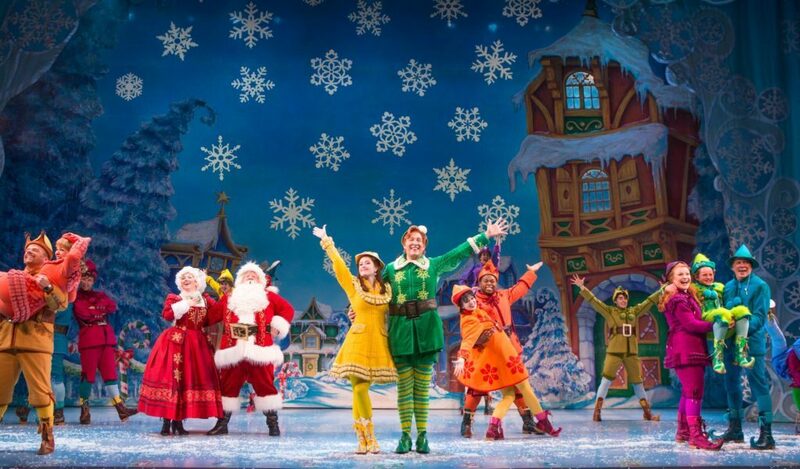 Costumes ~ they’re as eye-catching and magical as the costumes in the film and that gives the show a collective glow, you can never have too much red and green in Christmas shows after all! Scenery ~ the set jumps off the stage just as if it were in a pop-up book that you want to reach out and touch. It’s been designed with care, attention to detail and just a hint of elf magic. Casting ~ in my experience the casting has always been spot on, none of the performers have attempted to replicate the characters from the film. For example, had Ben Forster tried to ‘be’ Will Ferrell as Buddy then that would have confused the audience who haven’t seen the film before. It also wouldn’t work as there are many differences between the actors. However, Forster played to his strengths, just as Ferrell did. Story ~ the essence of the story has remained the same so it’s an easily identifiable transition between movie and musical. For obvious reasons there are changes as the musical has its limitations but spirit of the tale runs through the show. Helen McWilliams is a West Midlands (UK) based blogger, her niche is Entertainment of as many genres as she can review and feature on www.entertainmentviews.co.uk. Helen is also a fiction writer and loves collecting movie, TV and gaming memorabilia.